You are here: Home | News | Why Hire Spider Lifts from JMS Powered Access? Why Hire Spider Lifts from JMS Powered Access? In recent years, tracked booms have become increasingly popular in providing access to internal and external applications where modern architecture and landscaping creates interesting access challenges. Crawler tracks enable tracked booms to travel over rough terrain whilst innovative boom configuration and modern design enable them to fit through narrow entrances yet still provide high reach capability. Tracked booms offer a fast, safe, and productive way to work at height, both internally and externally. Their crawler tracked allow the machines to travel across rough terrain – and across low load bearing internal floors. Their design, with outrigger legs that are stowed while being moved into position, allow many tracked booms to access very confined spaces, through standard doorways, while still providing high reach capability. Trained operators – available if you need expert support at competitive rates. More versatile than all other aerial lift categories combined. Light like a trailer mount and mobile like a truck mount, and enhanced performance over a heavier self-propelled boom lift. Tracked booms provide access solutions for complicated locations because they are compact. They fit easily through narrow spaces and single gates and doors. 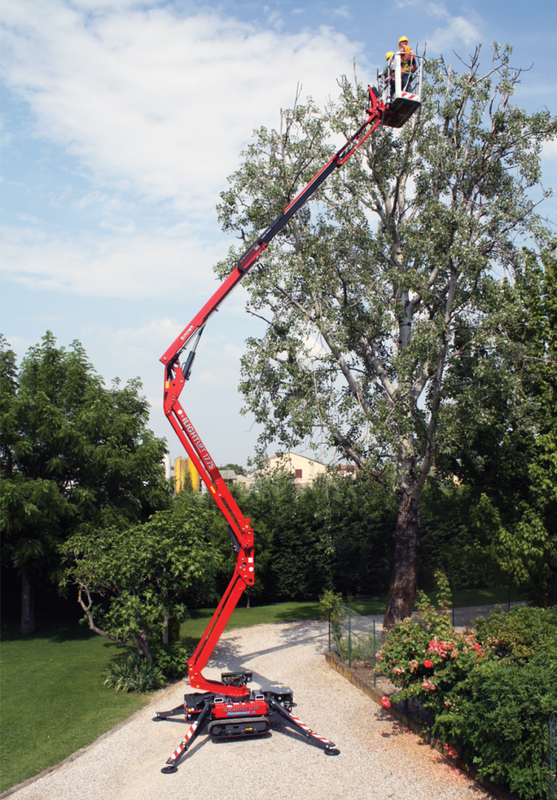 Hinowa Light Lift LL17.80 – Hire Tracked Booms from JMS. Boom operatives can use protective matting indoors to protect delicate flooring, for instance preventing the crushing or scratching of tiles. Matting can also be laid just as easily outdoors to ease movement across unstable ground. JMS has a fleet of track mounted booms available for hire. Leading brands available include, Hinowa, Teupen, JLG, and Bluelift.